Luxembourg city is the capital city of the Grand Duchy of Luxembourg. The city is located at the heart of Western Europe. It has an expeditiously growing population, a large section of which is formed by professionals in the software and related industries. There has been a broadened development in banking and administrative sectors over the years. Luxembourg was ranked 19th for quality of living and was placed first for personal safety. In the city with one of the leading per capita GDP and expanded scope for employment, Knowledgehut academy has partnered with the Scaled Agile Academy to present one of the advanced SAFe 4.5 course in Luxembourg. Leading SAFe 4.5 training in Luxembourg impacts the performance of software delivery in a positive way. For all those who want to build their careers in this competitive world, you can invest two days for Leading SAFe 4.5 workshop in Luxembourg. 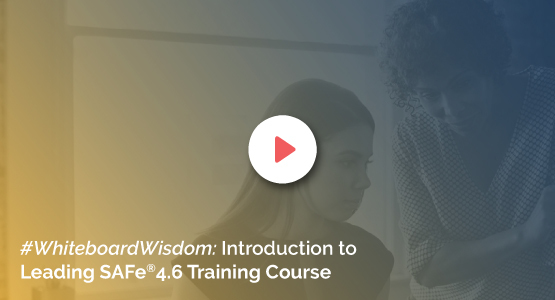 This enables you to explain and promote the use of SAFe and demonstrate how Lean, Agile, and Product Development Flow form the foundation of SAFe. The trainers are highly qualified with more than 20 years of experience in software field and coach you to pass the exam. You will be certified as a Leading SAFe 4.5 Agilist in Luxembourg once the course is completed. Enrol yourself for the practice sessions with fully equipped classroom training. The fee structure is designed to be cost-effective and group discounts are also available. You can also register for leading SAFe 4.5 online course in Luxembourg along with free downloadable reference materials. Be prepared to deliver best practices and be successful in big organisations.